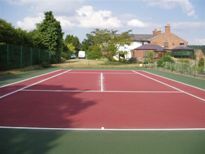 The above court was an old Mini Tennis Court which we cleaned, repaired and then colour coated into a new Touch Tennis Surface. 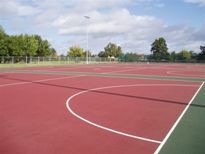 After several years of service your asphalt or acrylic tennis, netball or basket ball surface may look rather drab and lack grip. 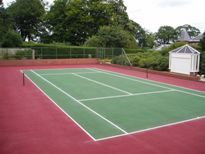 This may be due to the fact that the original coating has lost its grip factor although the colour may still be vibrant, cleaning and re-painting with a slip resistant paint will restore this and will strengthen and prolong the life of the surface. 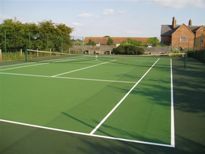 In the case of a tarmac surface it may be starting to loose some of its stone, evident by loose stone all over particularly after cleaning, and in the case of acrylic, cracks start to appear. 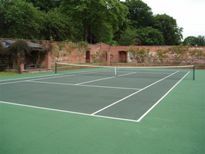 It may be possible to regain its original condition by cleaning, then effecting a repair and maybe the application of a binder layer followed by re-painting of the whole surface. 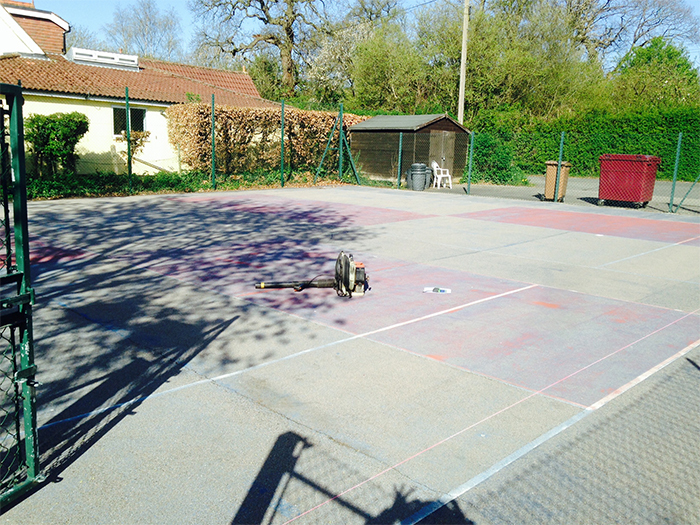 School courts (left) after deep cleaning sealing and colour coating, then re lining for tennis and netball, to restore them to as good as new, and safe for play. 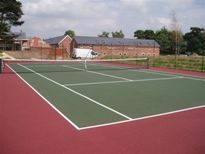 One phone call to Sweepfast and a member of our team will visit your site to assess the condition and advise on the appropriate course of action and provide a written quotation. 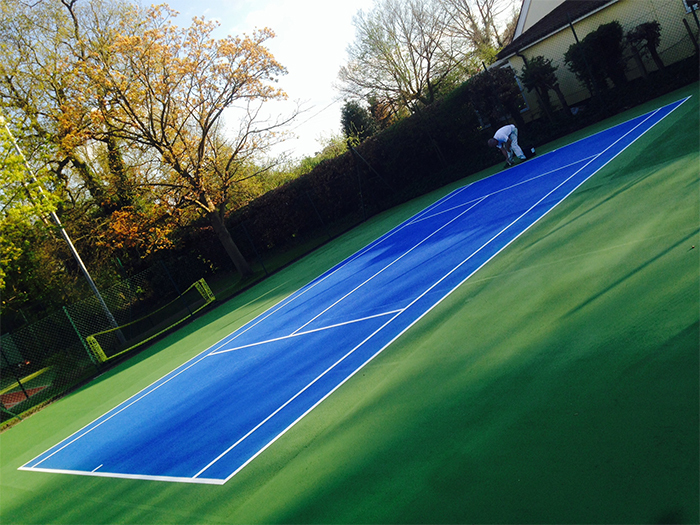 Courts on the left have all been deep cleaned, colour coated and re lined for tennis, mini tennis, netball, 5 aside football and basketball (USA), making most out of the available area.